Two years ago, I decided to move to Gurgaon in search of career growth. I would hear stories, and be fascinated about the life in this ‘millennium city’ and looked forward to living here. Never did I imagine that within a span of 2 years, all my fascination will turn into nightmares. Thursday, 28th July 2016 was any normal day until it started pouring heavily in the city. Within minutes, some major roads turned into rivers with knee-deep water clogging routes across the entire city. 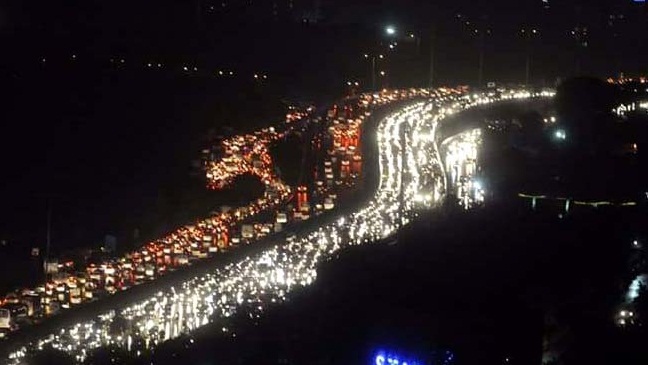 #Gurujam as it came to be called on social-media; the traffic jam lasted over 24 hours, causing the entire city to come to a stand-still and making commuting to and from the city impossible. While the city choked, the entire world watched. Few Indian cities have witnessed growth the way Gurgaon has. More than 250 (over half) of the global Fortune 500 companies, which include biggies like Walmart, Shell, Microsoft, Samsung, GM, GE, PepsiCo, Coca Cola, Google, Toyota and Facebook, to name a few, either have their India headquarters or important offices in Gurgaon. The outsourcing industry, of which India is one of the biggest backroom offices of the world, hires around a half a million people in Gurgaon, directly and indirectly, and more than 200,000 workers are employed at factories, including Honda’s and Maruti’s, in and around the city. Gurgaon today is a sprawl of glass, steel and concrete high-rise offices, condominiums and malls, which are the workplaces, homes and shopping destinations for its population of two million and growing. The Millennium City (a nickname that now reeks of black humor) is on the verge of spiraling into a deep and precipitous fall from where it may never recover. The reason for it is clear - Gurgaon’s streets are unplanned, unnamed and, in many instances, unnavigable; electricity for most hours of the day has to be generated by residents, offices and malls (there are 35 of those in the city) using their own captive generator sets that burn diesel for fuel; there is no public transport system worth mentioning that functions within the city; air pollution levels rival neighboring Delhi’s (which is the worst in the world) in a city that has just a tenth of the population; and, as residents and commuters realize every year during monsoon, the city’s drainage and sewage systems are a hopeless failure. #Gurujam however uncovered this grim reality, bringing it to the notice of the authorities who were responsible for its plight in the first place. The extensive media coverage forced the authorities to wake up from their slumber and initiate the much awaited repair work. By the following Monday, the city was back to its normal life and it hasn’t rained since. All we can pray is that we never experience the nightmarish traffic jam of 28th July.